I am FAR from a clutch expert. That is an area that I try to absorb what I can when the info is available. So, take what I say with a HUGE grain of salt! That looks pretty similar to the early doo clutches. I know that Ski-Wizz used Drummonds and that there were some recalls. 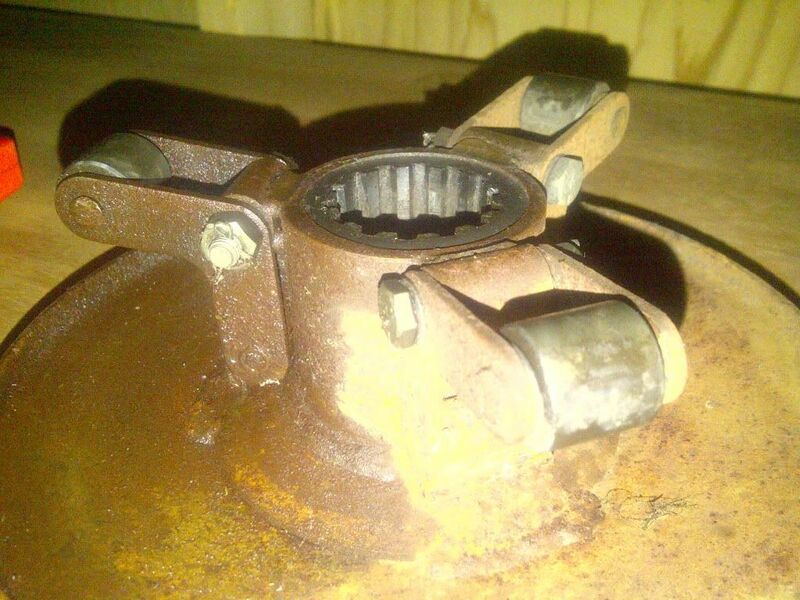 BUT I think this clutch looks earlier than that. My picture of a Drummond PowerBlok is FAR different than that one. My 67 just did this today. Is it the same clutch as the 69 Scorpion? That is a 1.25" aka 1 and 1/4" bolt head on my clutch. I have a socket now and a 1/2" breaker bar. Breaker bar is useless because I cannot hold the clutch still! 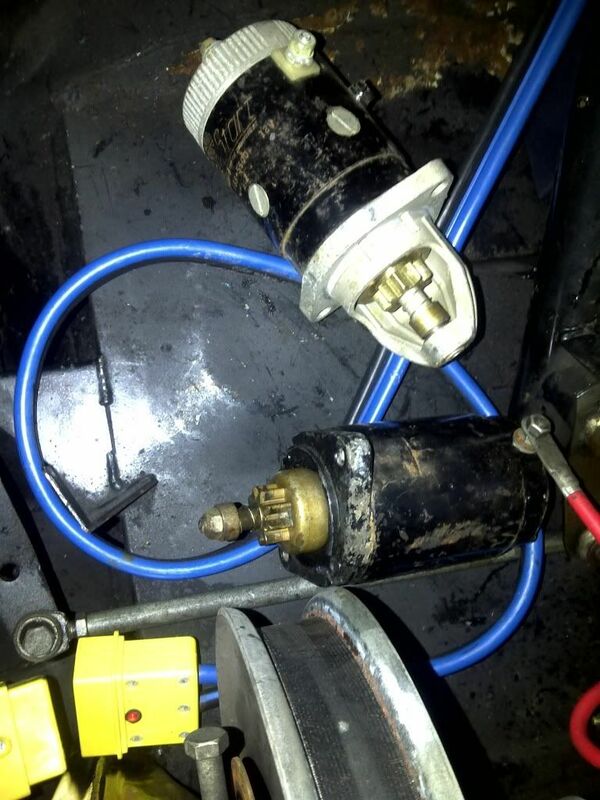 I filled my portable air tank to 125psi and hit that bolt with a borrowed impact wrench. Something is wrong with the impact wrench because it just leaks air when I pull the trigger, does not even turn even without a load! Once I get my clutch off, inspected, and fixed, what is the torque spec to tighten the bolt back on? Instead of using a torque wrench that I have, can I just tighten it with an air wrench (a working one!) using a certain PSI of air pressure? I think the air wrench was too cold when I tried it the first time. This time it removed the clutch bolt, no problem. So here's a look at the rollers. Each roller has one "slight" flat spot on it. Are these flat spots enough to cause the creeping problem? I tried to pull the stationary clutch plate off but it's on there good. 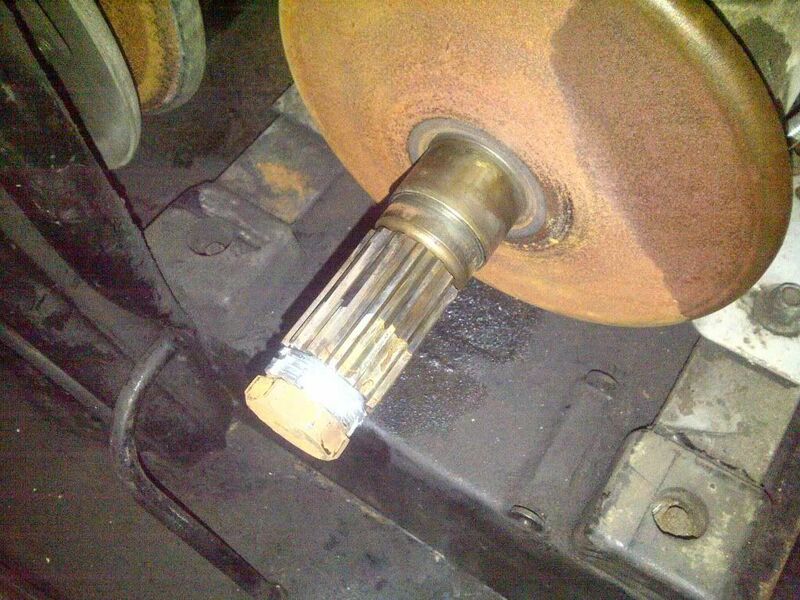 I used the original clutch bolt and installed four electrical conduit nuts on the shaft of the bolt so it would act as a puller. I am still using my portable tank because I have no power where this sled is. I filled the tank 3 times and hit the bolt with the air wrench. No luck. I pounded on the inner plate with a big rubber mallet. No deal. I heated the assembly and then hit it with the air gun again. Still cannot get that inner plate assembly off! It might work if I had my air compressor there but all I have is the portable tank that runs low quickly. In my opinion the rollers are toast when there is any flat spot. As for pulling the stationary. Someone please correct me if I am wrong, but it looks like you are going about it wrong. The clutch bolt retains the clutch to the crank. We need to push against the crank using threads in the clutch. I will try and get a picture of the puller that I have tomorrow. I am using the same old belt that came on my Scorpion when I bought it. It is a NAPA Snow Power Endurance 6100 and it's been around. I worked on sleds for years in my youth but never once pulled a clutch. 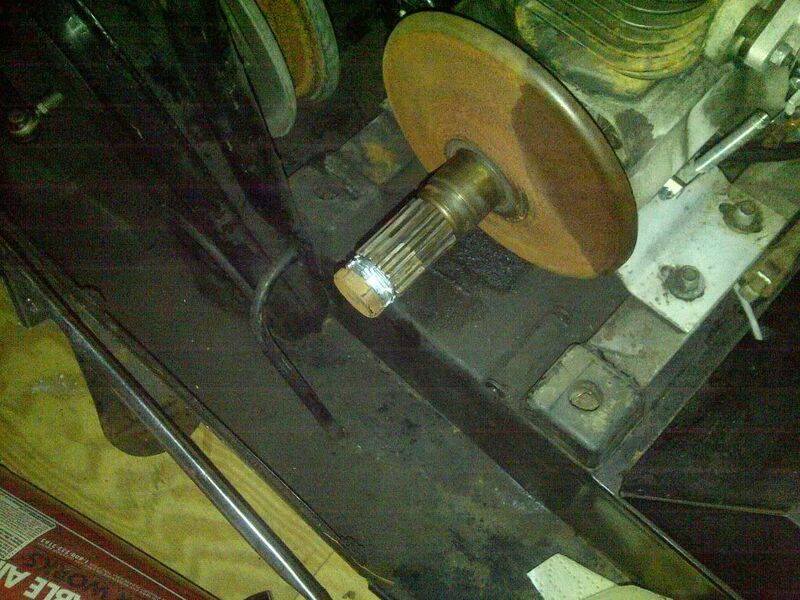 I've pulled flywheels off many a small engine so I understand how it is supposed to work. My methodology for pulling this clutch was flawed. There is no space for the clutch to "pop" as I just keep tightening it! I need to get a correct puller or rig up another jig that places the forces in the right places.. Thanks for pointing out my flawed method before I hit it with the impact wrench a few more times. Can someone explain in layman terms how the rollers work in the clutch and how flat spots cause problems, like the creeping problem I'm having. This is probably some of the best info that you will find short of reading the aaen book. But basically as the rev's go up, the weights force the rollers against the sheave in this case to push the sheave against the belt. If there is a flat spot, that is going to change the rate of "push" as it can no longer "move" freely. Not ignoring, hoping that someone with a little more knowledge would post up. You might want to start your own thread to get better response. This is my first thoughts. Sounds to me like you are reving past your optimum power band and falling on your face. To light of weights will do that. A lot more info will really be needed for someone to assist you further. Current clutch weights, springs, rpms etc. That looks to be the incorrect belt. I show a different number for Napa. Unless there has been a number change. I'd measure it, but it looks to short. A 74 400 Stinger shows to be a 989910 which crosses to a Goodyear 71135. A 69 Mark shows a 98900 which also crosses to a 71135 in a goodyear catalog. Now to take this further. The 71135 crosses with the following belts. A 69 Mark shows a 989900 which also crosses to a 71135 in a goodyear catalog. You have a 1969 Scorpion clutch (for sure). 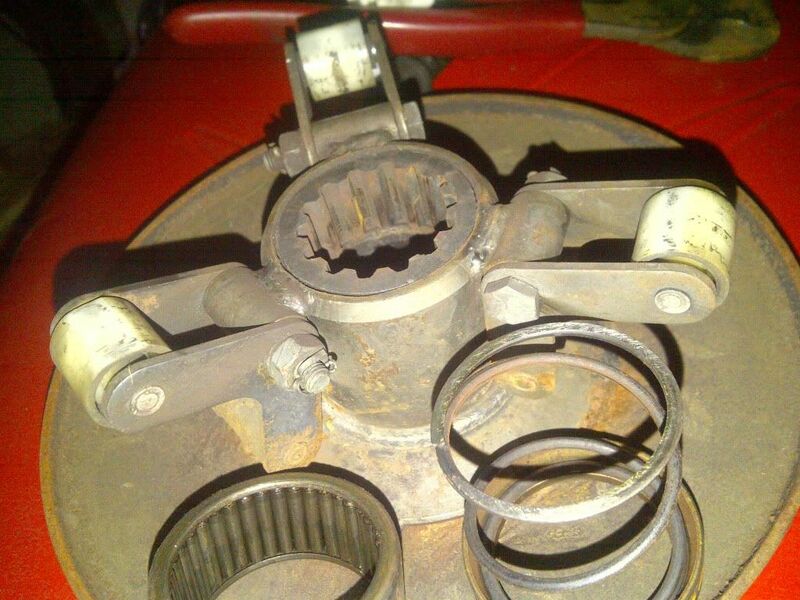 There were two methods that the held the clutch in place depending on the crankshaft snout. The first method has a crankshaft snout that had external (male) threads. The long retaining bolt was drilled and tapped with internal threads. 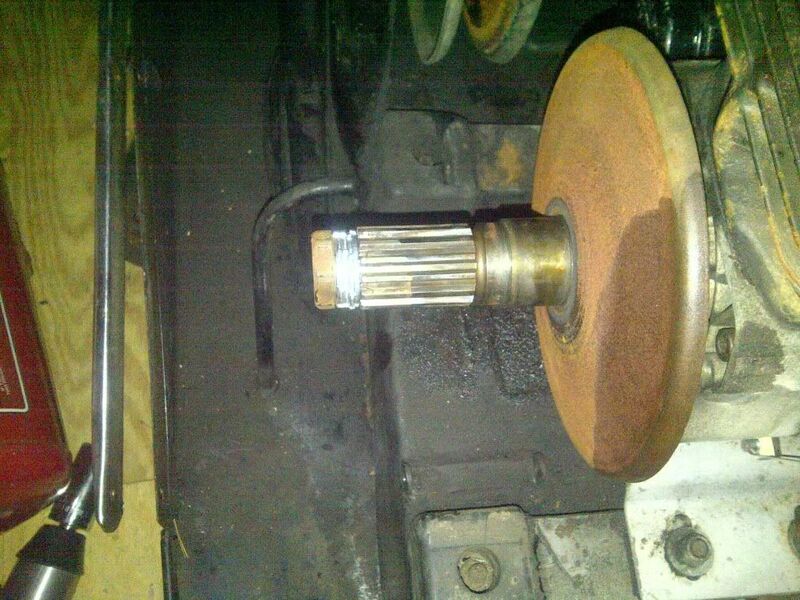 This style retaining bolt can not be used to remove the clutch. 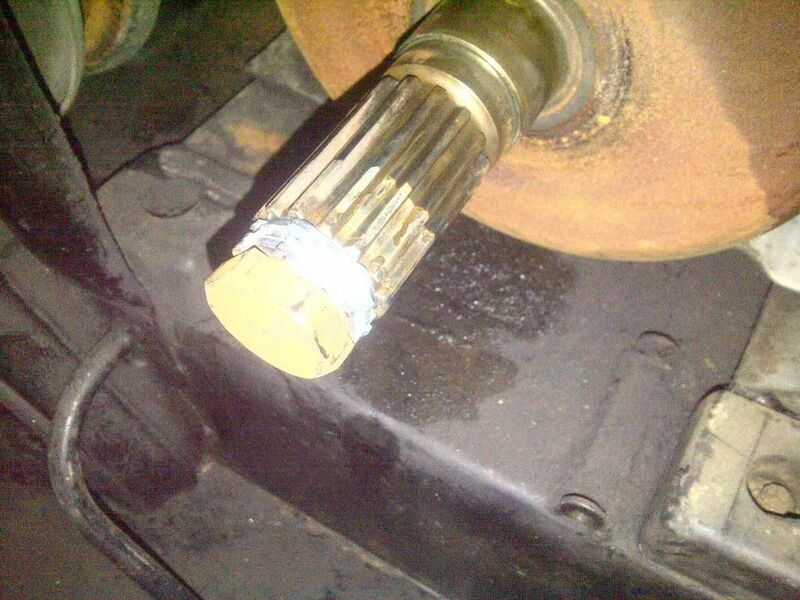 A separate (large) bolt needs to thread inside the clutch shaft and push against the crankshaft snout. The second method was a crankshaft snout that was drilled and tapped with internal (female) threads. Almost all later engines have this style. 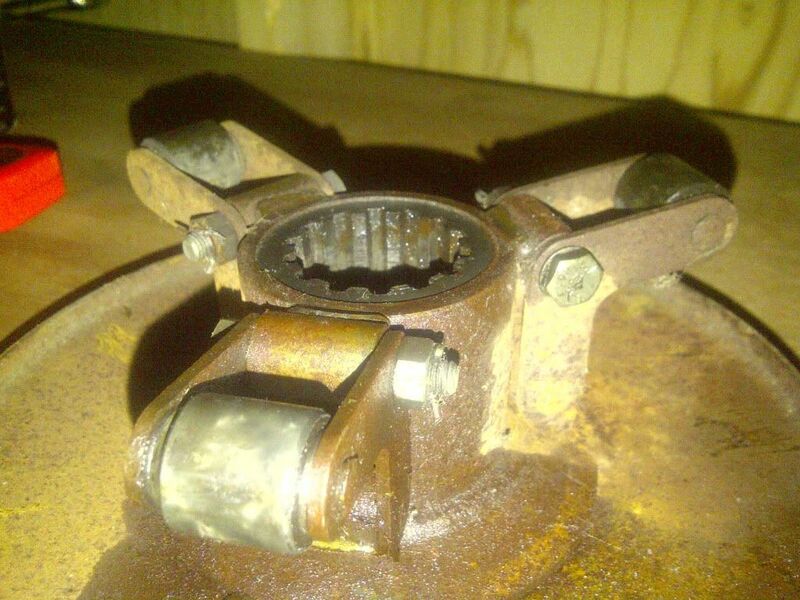 This has a large bolt that holds the clutch together. A long smaller bolt fits through a hole in the large bolt to attach the clutch to the crankshaft. The large bolt should be installed inside the clutch shaft with spacers to push against the crankshaft when the large bolt is tightened. This will pop the clutch off of the crank. You have the first style. You need the large bolt (from the second style with the hole) and spacers to push against the crank snout. 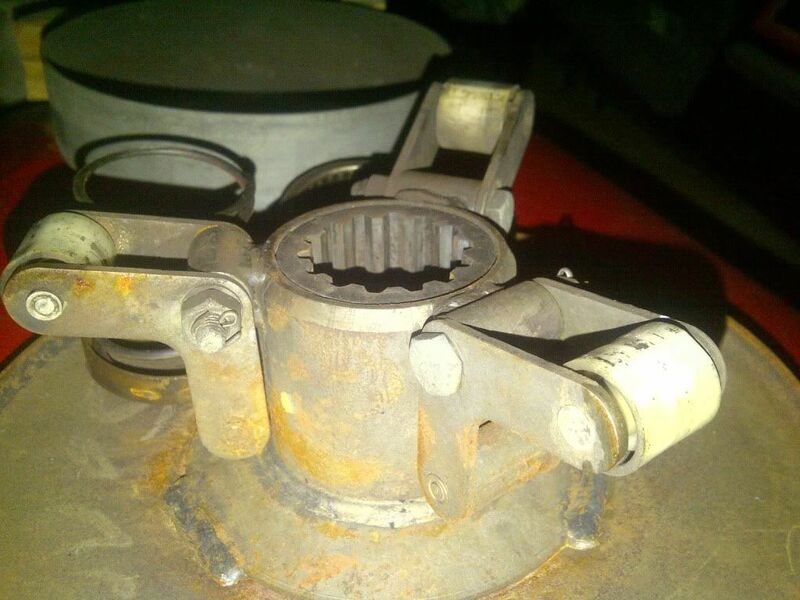 Be carefull not to damage the external (male) threads on the crank snout. A snowmobile that creeps at an idle is caused by (if the clutches are good) the wrong center to center distances (to wide) or a short belt. 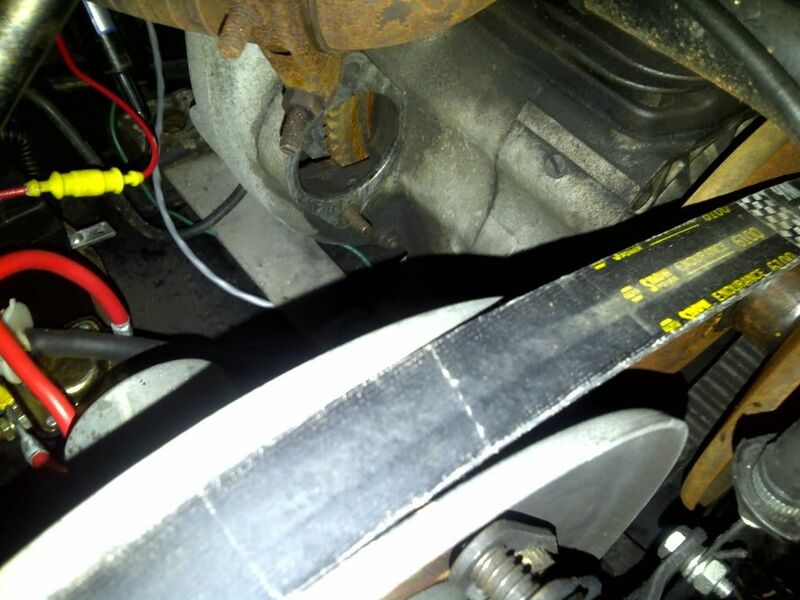 If you can't find the exact length belt you need you can move the engine closer to the secondary clutch (for a short belt) or move the engine away from the secondary clutch (for a long belt). 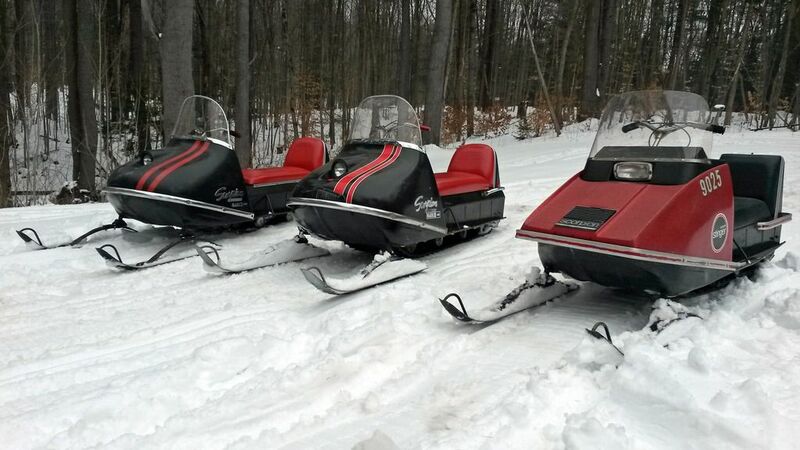 The snowmobile top speed can be increased slightly by moving the engine away from the secondary clutch the maximum distance before the snowmobile starts creeping at an idle. This can be determined by trial and error. 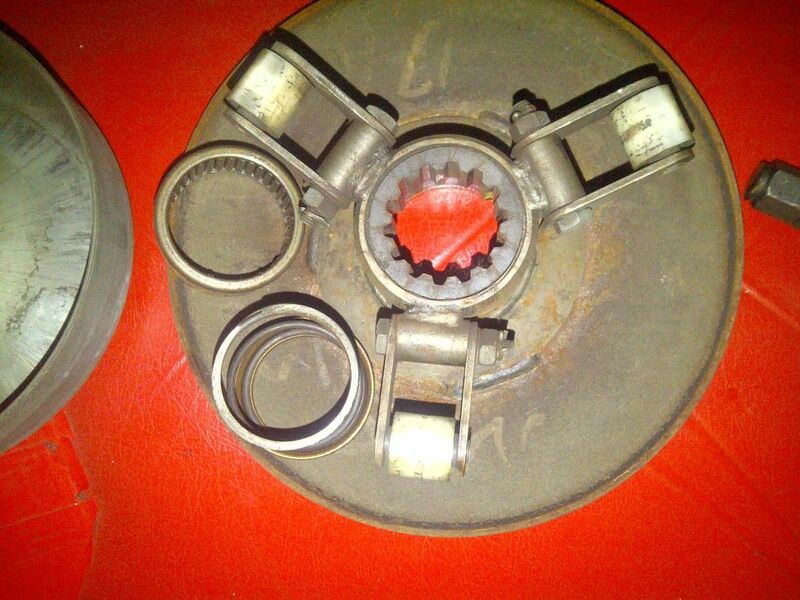 Scorpion drive clutches have a idler bearing for the belt to ride on at idle. 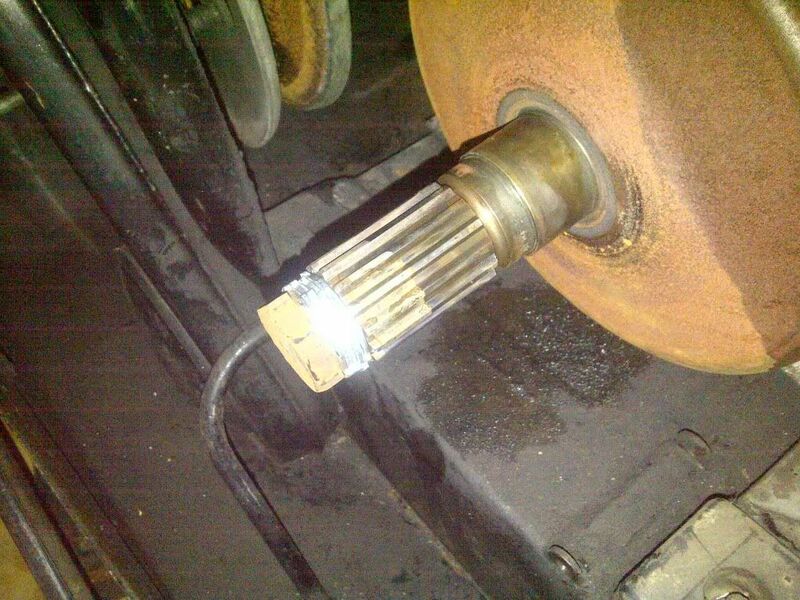 This allows for a fairly tight belt at an idle. 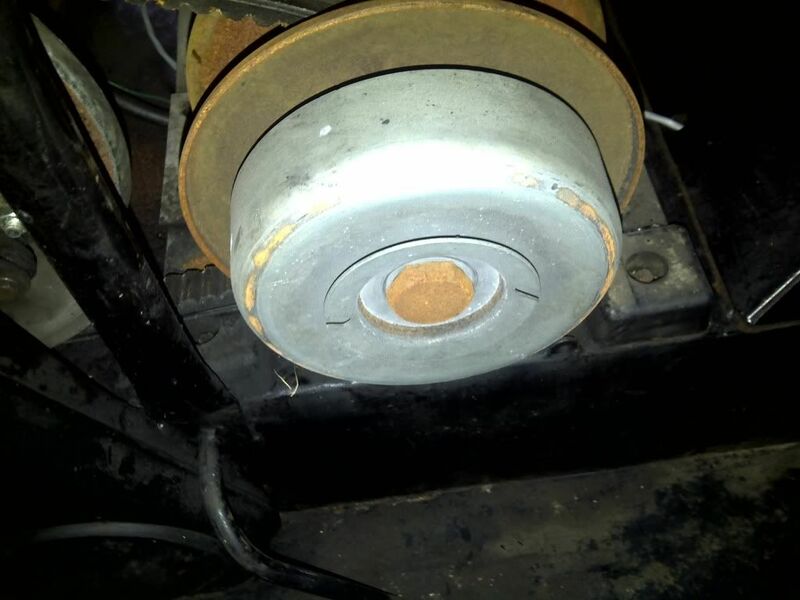 If the grease in the idler bearing is too thick (and in really cold weather it may be too thick) the bearing will drag a little and make the sled creep. 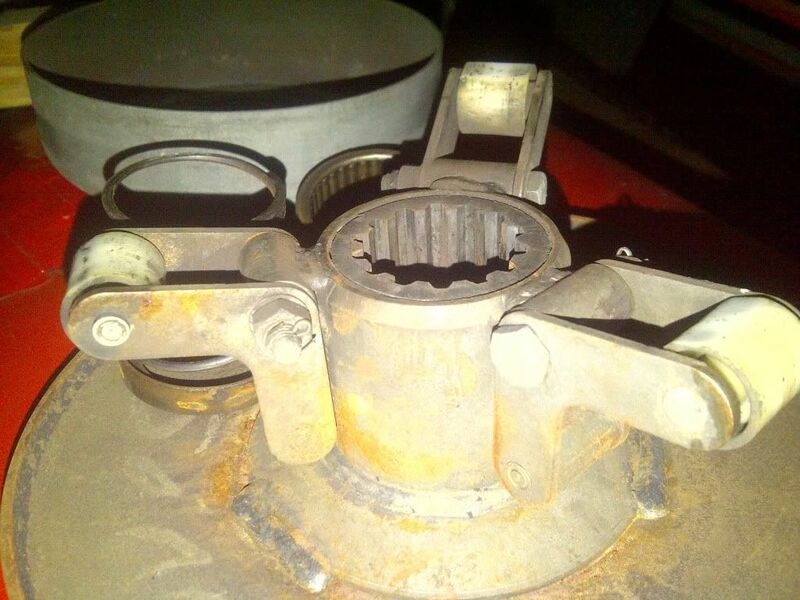 However the grease needed in the bearing has to be really tacky or it will fly up onto the sheaves and the belt. You need grease that is tacky but not too thick! I pulled the clutch off my "spare" 368/370 Sachs single from a 1969 MARK II 400. 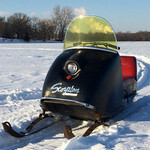 The story gets interesting in my continuous quest for uncovering the many things to learn about Scorpion snowmobiles. First, the rollers on my spare engine clutch are not flat-spotted, but that's not the only difference. The rollers on my spare clutch are black, whereas the rollers in my original clutch are white. The white rollers are easily identifiable as some sort of nylon/plastic. The black rollers though, they REALLY seemed to be some type of metal, but they are not steel because I tried a magnet on them. 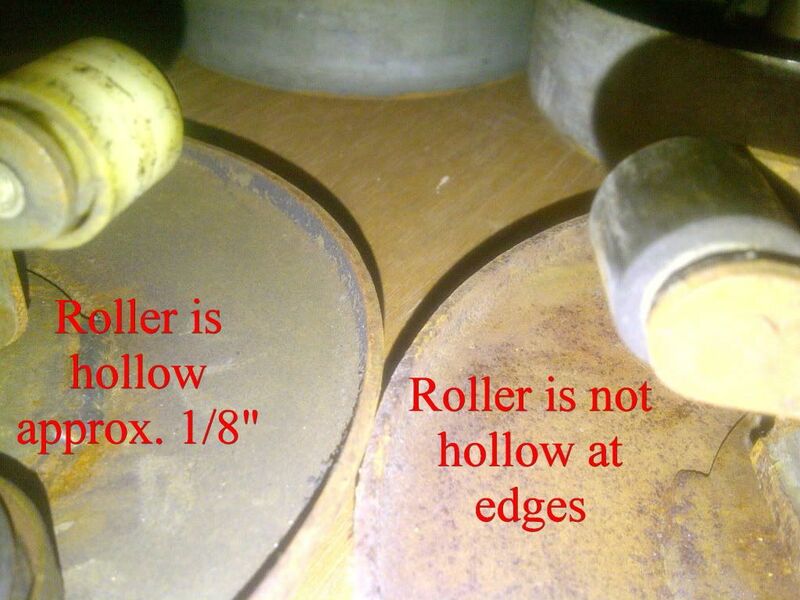 Even that is not the only difference in the 1969 Mark II rollers versus my 1969 Mark III rollers. My white plastic Mark III rollers are hollow about 1/8" from each end, whereas the black rollers in my spare Mark II clutch are a solid roller (except for where the pin goes through the center of it). So...what materials are these nice black rollers constructed of and have you ever noticed Scorpion used two different materials/designs in the same year?